Writers Writing | Workshops of up to three hours provide the opportunity for writers to practice their craft, explore working within a new genre or polish a specific writing skill. The workshops are limited in size in order to provide a high-quality learning environment with plenty of time and space to create and share. Writers Working | Writing is a creative endeavor but it is also a business. Writers Working explores the nuts and bolts of being a working writer. 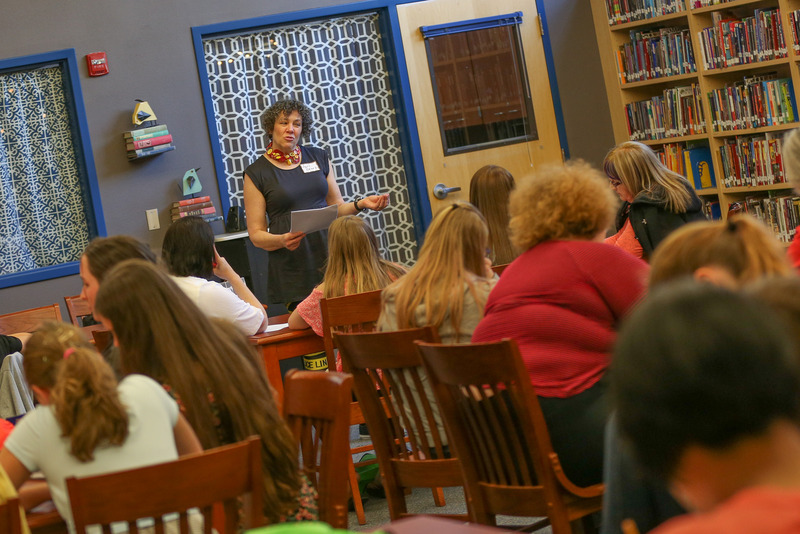 From the revision process to how to do a public reading, experts will help local writers learn the brass tacks of embarking on a profession of creative writing in today’s world. Writers Reading | Author events bring the local writing community into contact with contemporary writers working in a variety of genres. These events provide opportunities to engage with leaders in the literary arts. 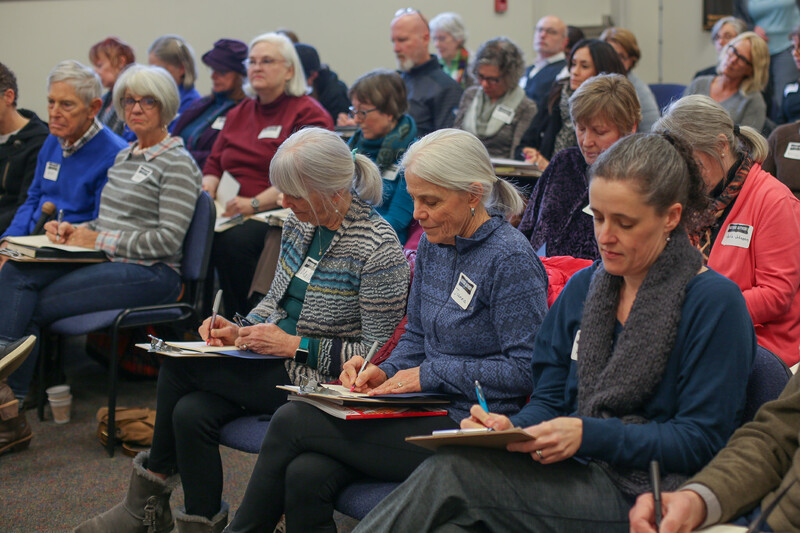 Write Here programs will be facilitated by experienced writing instructors from Central Oregon and the Pacific Northwest and are open to everyone with an interest in writing. Programs will vary in location, time, and topic, but all Write Here programs are free, though space is limited and registration will often be required in order to keep class sizes manageable. Tips and techniques for better travel writing. Learn how to write an engaging travel piece and how to pitch to publications. The two hour workshop will include exercises in writing a scene and include details on how to share your travel experiences into unforgettable stories for print. Kimberly Bowker is a narrative journalist who loves to explore stories of the heart and how our lives intertwine. Growing up in Central Oregon, she served at The Bulletin newspaper, and appreciates how writing can strengthen our community. Her work has appeared in local publications and sources such as 1859 Magazine, CraftBeer.com, Fodor's Travel, and Travel Oregon. Please say hi if you find her reading outside or out on the trail strolling beneath the sky-as this is where we all connect. Discover how setting constraints can free your creative writing with Irene Cooper. 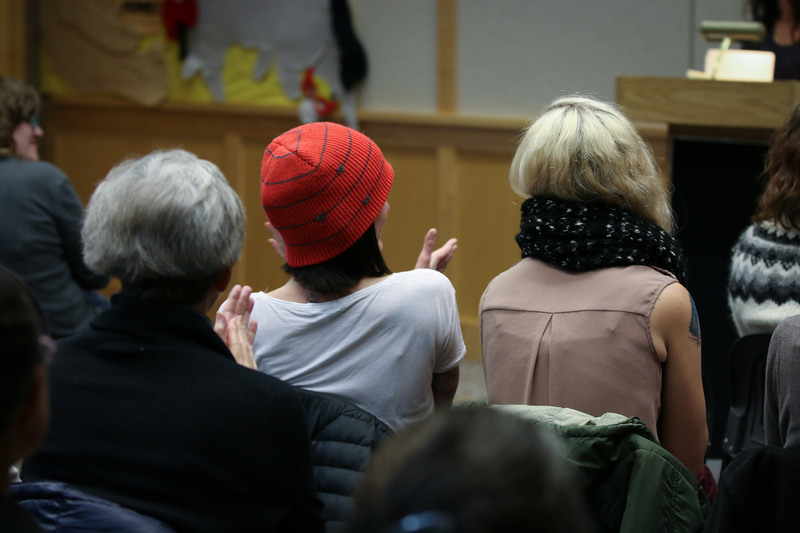 The mission of Central Oregon Writers Guild is to provide Central Oregon area writers a forum for mutual support and education through meetings, annual events and workshops. Their goal is to advance growth and success for individual writers of all genres and at all skill levels. Founded in 2002, the Guild is a non-profit organization, where volunteers coordinate the group's activities. Celebrate strong women with AAUW and author Jane Kirkpatrick. Throughout the year the American Association of Women has focused on programming highlighting the strength of women. From women on the home front, to women in need, and women in theater, and disaster relief AAUW celebrates exceptional women and their endeavors. 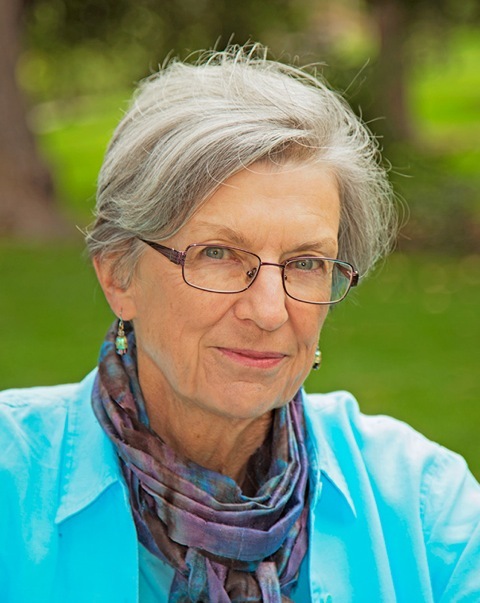 The final program on the AAUW schedule features Oregon author Jane Kirkpatrick, internationally recognized for her lively presentations and well-researched stories that encourage and inspire. 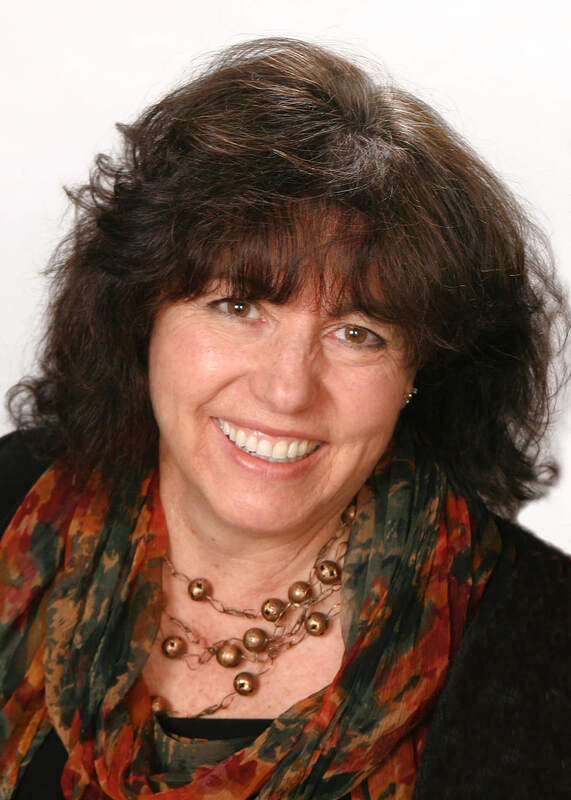 A New York Times Bestselling author, her works have appeared in more than 50 national publications including The Oregonian, Private Pilot and Daily Guideposts. With more than 1.5 million books in print, her 30 novels and non-fiction titles draw readers from all ages and genders. Most are historical novels based on the lives of actual historical women who lived extraordinary lives. Her works have won numerous national awards including the WILLA Literary Award, the Carol Award, USABestBooks.com, Will Roger's Medallion Award and in 1996, her first novel, "A Sweetness to the Soul," won the prestigious Wrangler Award from the Western Heritage and National Cowboy Museum. Her novels have also been finalists for the Spur Award, the Oregon Book Award, the Christy, Reader's Choice and the WILLA in both fiction and non-fiction. Several titles have been Literary Guild and Book of the Month choices and been on the bestsellers list for independent bookstores across the country, in the Pacific Northwest and the Christian Booksellers Association. Her books have been translated into German, Dutch, Finnish and Chinese. The American Association of University Women is the nations leading voice in promoting equity and education for women and girls. 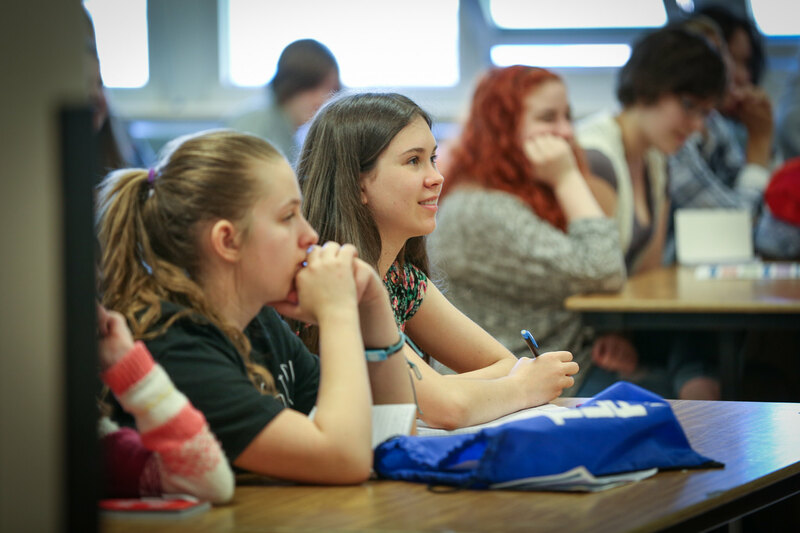 The local branch meets monthly, has a strong scholarship program and supports the annual Tech Trek camp for junior high school girls interested in Science, Technology. Engineering and Math. Writing contest winners read their work. 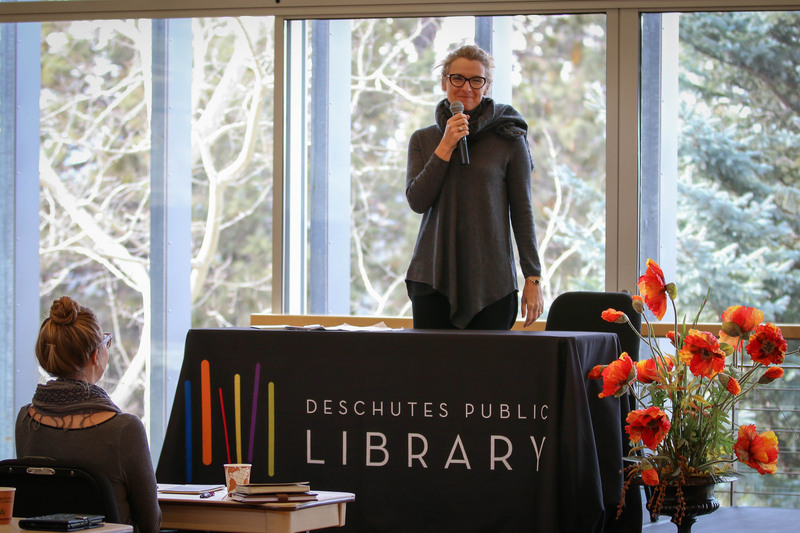 Central Oregon Writers Guild will hold its 11th Annual Contest Winners Showcase on Saturday, May 18, 2019, 1-4 p.m. at the Downtown Bend Library. Authors will share their winning entries with families, friends, and the public at this free event. Light refreshments after the readings. Books from contest winners, judges, and Guild members available for purchase. For more information, visit www.CentralOregonWritersGuild.com. Join other writers and Writer's Collective of Central Oregon for quiet writing time at the Library. 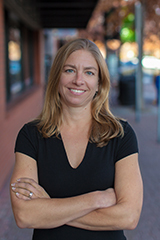 Learn new strategies for maximizing the chemistry between text and title with Dr. Emily Carr. *Sign language interpreting will be provided at this program. In this workshop, you will learn new strategies for maximizing the chemistry between text and title. Using Matthea Harveys titling taxonomy as our guide, we will explore titles that act as onramps, spotlights, license plates, greased pigs, and helium balloons, as well as titles that dont wear ties. It is often easier to see potential power of title in visual arts because the relation of the title to the artwork is emphasized by their being in different mediums, so we will start with paintings and sculptures that exemplify these types of titles, then move into short pieces by contemporary authors, and end with applying our new knowledge of titling to our own work. This workshop is open to writers at all levels and of all genres. Please bring 1-2 short pieces that need titles. How a piece is read has just as much impact as what is being said. When it comes to sharing written work with an audience, how a piece is read has just as much impact as what is being said. Elements such as our tone, speed, volume, and posture, all affect the way our work is received. In this clinic we will discuss writing for the stage, with a focus on tactics that we can use to effectively deliver our poetry or prose. We will examine the nature of stage-fright, and explore the voice as an instrument. Above all, we will focus on the idea of connection -- the connection between our hearts and our heads, the connection between ourselves and our audience, the connection between the page and the stage. Although Jorah is a poet this clinic can benefit any writer, at any level of all genres. Jorah LaFleur is a writer/performer who enjoys wearing many different hats. She finds herself on stage as a spoken word poet, actor, and event emcee. She also loves working with youth as a spoken word educator and teaching artist. 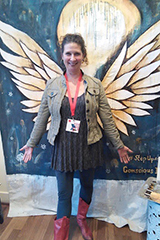 She is currently serving as the Writers in the Schools Director for the nonprofit organization Wordcrafters In Eugene. Jorah has spent the last 20 years exploring the joys and terrors of showing up on stage. Running and hosting a monthly poetry slam in Eugene, (Eugene Poetry Slam) for over a decade has left her comfortably harboring the belief that live performance is, literally, magical. She is committed to helping others experience the transformative power of being heard, and to promoting the arts as tools of social change and community building. Jorah loves words, courage, and really dark chocolate. Her favorite color is zebra. Author Michael Benanav reads and shares photos of his journey. Author and photographer Michael Benanav presents a slide show / reading based on his award-winning book, "Himalaya Bound: One Familys Quest to Save Their Animals and an Ancient Way of Life." Featuring remarkable images of nomadic life in the jungles and mountains of north India, Michael will take you on a visual journey with the Van Gujjars  a tribe of forest-dwelling nomads  as they trek with their herds of water buffaloes into the Himalayas on their annual spring migration. This compelling true story offers an intimate glimpse into a rarely seen world and the modern forces that threaten it, exploring the complicated tensions between environmental conservation and indigenous rights while sharing the daily dramas of life on the trail with a family who sacrifices their own comfort for the well-being of their animals. Himalaya Bound is a great adventure and an incisive work of literary journalism. For more about the book, please visit www.himalayabound.com. Michael Benanav is a writer and photographer for The New York Times, Sierra Magazine, Geographical Magazine, Lonely Planet, and more. His photos have been exhibited at the Indira Gandhi National Centre for the Arts in New Delhi, as well as at Lincoln Center and, soon, the American Museum of Natural History in New York City. Himalaya Bound is his third book. DPLS welcomes Writer in Residence Christopher Boucher. Christopher Boucher is thrilled to be serving as Writer-in-Residence at Deschutes Public Library just two days before the publication of his third novel, "Big Giant Floating Head" (out June 18 from Melville House). Chris afternoon reading will feature selections from the new novel, which tells the story of a character named Christopher Boucher who is navigating the end of a marriage and the mysteries of the fictional town of Coolidge, Massachusetts. Big Giant Floating Head features the same heartfelt, imaginative adventures that drew readers to Bouchers first two novels, How to Keep Your Volkswagen Alive (2011) and Golden Delicious (2016), and that have earned praise from actor Patton Oswalt and writers George Saunders, Roxane Gay and Emily St. John Mandel. Oscillating back and forth in time, "Big Giant Floating Head" contains strange surprises at every turn: Christopher briefly dates a woman with an invisible dog, contracts a strange illness that divides him in half, participates in a failure competition, and joins a community called The Unloveables. In the face of these trials and others, Christopher struggles to regain his bearings, make sense of a new reality, and chart a course forward. 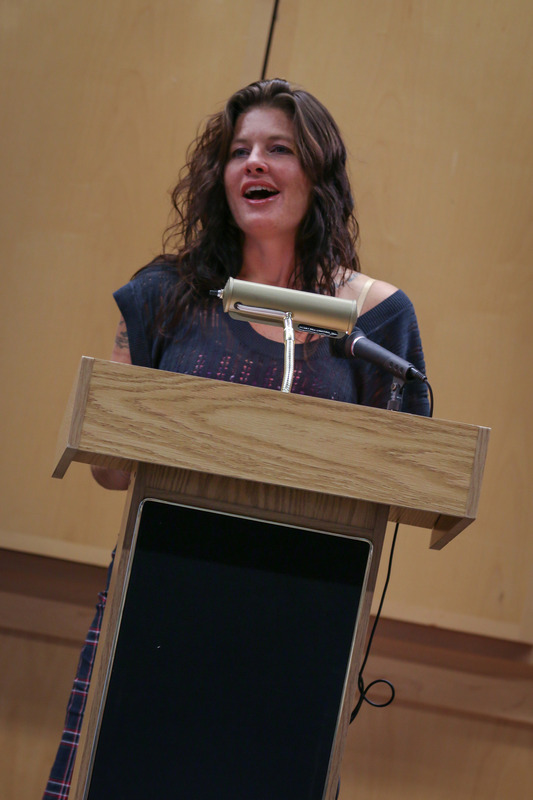 Boucher serves as part of the OSU-Cascades Low Residency Creative Writing MFA faculty. 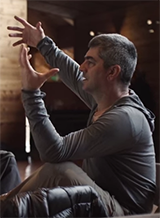 Embrace the phenomenon of "not knowing" in this workshop led by Christopher Boucher. Writer in Resident Christopher Boucher leads a workshop at the library called Not Knowing. Inspired by Donald Barthelmes essay on the topic. Boucher will draw on his experiences as a writer, editor and teacher to lead a workshop that reframes the creative process. Writers at all levels of experience, from the published poet to the aspiring memoirist or novelist, are encouraged to attend. The conversation and exercises will equip writers with new strategies for embracing the phenomenon of not knowing and sidestepping the challenge of the blank page. Get one on one coaching with Writer in Residence Christopher Boucher. 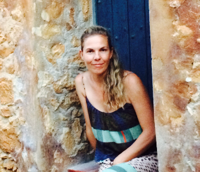 Boucher serves as part of the OSU-Cascades Low Residency Creative Writing MFA faculty. Participants will spend 30 minutes reviewing a previously submitted work sample. Get your flying saucer ready for blast off! Playshop led by Krayna Castlebaum. Explore galaxies, alien life, space carnivals and more during this Playshop! We'll write poems and prose from the viewpoint of characters and/or objects found in poetry specially curated for our journey to inner space. Excellent for fledglings and long-time lovers of poetry and creative expression. Spend an evening celebrating spoken word poetry at the final Words on a Mic of the 2018-2019 season. Open mic and poetry competition. $500 cash prize will be awarded. Previous winners are eligible to compete in the final event. All forms and genres of written and spoken word welcome. Limited to 18 participants. Registration for participants is required and opens on June 10 at 8:00 s.m. Dive into the subject of writing for youth. As an adult, writing for kids and teens can feel like dabbling in another culture. We were all young once, but our memories fade and times change. How can you make sure the story you are writing will resonate with, and feel relevant to, a young audience? Mother/daughter author duo Kim Cooper Findling and Libby Findling, authors of The Sixth Storm, dive into the subject of writing for youth in this workshop. Theyll guide you through considerations of voice, theme and setting, dialogue, pacing and how to keep your overly adult attitudes well out of your own way. Kim Cooper Findling is the publisher of Dancing Moon Press and an author, editor, journalist and teacher based in Bend, Oregon. She is a fifth-generation Oregonian, an Oregon native and an award-winning writer of stories about her beloved home state. Libby Findling is a sixth-generation Oregonian going into her freshman year of high school. When she is not writing, Libby enjoys theater and exploring Central Oregon. Kim Cooper Findling is a sixth generation Oregonian and award-winning writer and editor of stories about her beloved home state. 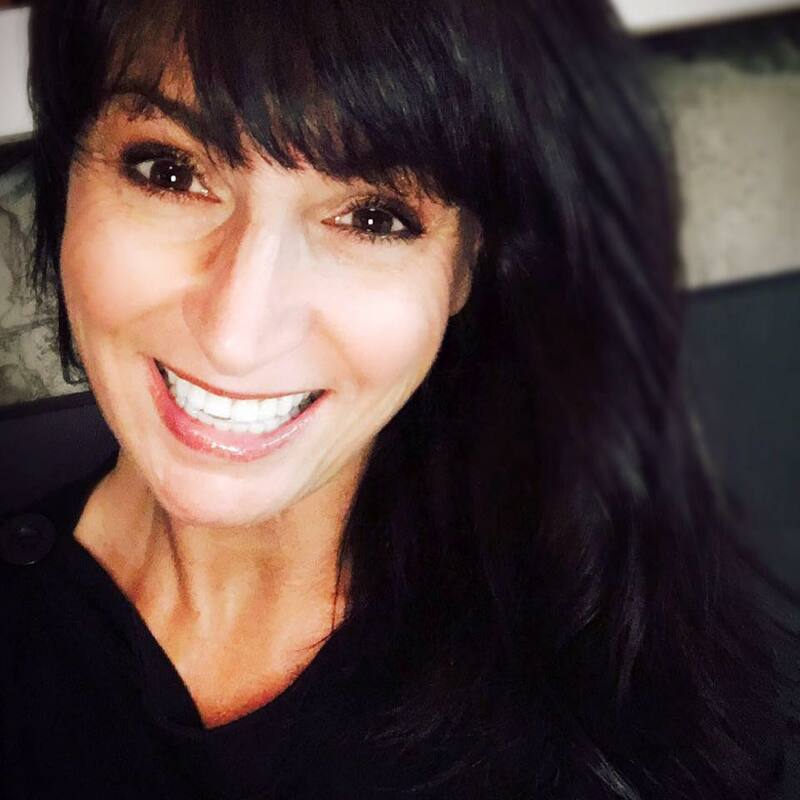 She is the author of Bend, Oregon Daycations: Day Trips for Curious Families, Day Trips From Portland: Getaway Ideas for the Local Traveler and Chance of Sun: An Oregon Memoir. For the last two decades, she has worked as a magazine editor, travel writer, memoirist, journalist, teacher and author from Bend, Oregon. See kimcooperfindling.com. Krayna also facilitates “uncommon conversations,” a process of inquiry and deep listening for both what is said and what is not said, with individuals, couples and groups. Dropping beneath social constructs and expectations into the vast, rich inner landscape has been her life-long passion. This style of engagement has served as formative ground for Krayna’s own poetry, writing and visual art-making. Emily Carr says she “writes murder mysteries that turn into love poems that are sometimes (by her McSweeney’s editors, for example) called divorce poems.” She has lived all over the world and is the author of several collections and chapbooks of poems. After she got an MFA in poetry from the University of North Carolina-Wilmington, she took a doctorate in ecopoetics at the University of Calgary. These days, she’s the program director of the low-residency MFA in creative writing at Oregon State University-Cascades. Her newest book, Whosoever Has Let a Minotaur Enter Them, Or a Sonnet—, is available from McSweeney's. It inspired a beer of the same name, now available at the Ale Apothecary. You can find her online at www.ifshedrawsadoor.com/ and as ifshedrawsadoor on Instagram. Judith Montgomery lives in Bend, Oregon, where she writes and tries to keep dee r from eating her geraniums. She loves to teach and talk about poetry. Her poems appear in Valparaiso Poetry Review, Prairie Schooner, the American Journal of Nursing, and Healing Muse, among other journals, as well as in a number of anthologies. Her first collection, Passion, received the 2000 Oregon Book Award for Poetry; Red Jess, a finalist for several national book awards, appeared in 2006; and a chapbook, Pulse & Constellation in 2007. Her new manuscript, Litany for Bloom and Wound, has been assisted through residencies at Playa, and was a finalist for the 2016 Marsh Hawk Poetry Prize and was recently accepted for publication by Uttered Chaos Press in Eugene. Better known as MOsley WOtta, Jason Graham is a consummate creative who has been featured internationally as a speaker, performer, poet, visual artist and educator for over a decade. A former slam poetry champion for the state of Oregon, Jason’s work focuses on the power of voice. He has been featured multiple times as a TED X speaker and performer. His CV includes Sundance Film Festival, Fiji International Jazz & Blues Festival, MAGIC trade show Las Vegas, Street Con Dubai, Valley Fiesta Australia, PBS Oregon Art Beat. . Recently MOWO was selected as and Oregon Humanities Conversation Project leader. Additionally MOWO is an Art Ambassador with the RISE UP INTL and the US Embassy. People need stories. They want their emotions jangled and their minds bent, their existence questioned, their reality suspended, their world taken apart and put back together again. They need us to write. Mike is a graduate of the OSU MFA Writing Program. He writes short and long fiction, and co-facilitates Blank Pages Writing Workshops in Bend with his beautiful and gifted wife. 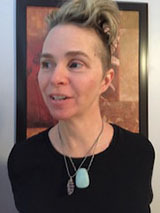 Irene Cooper’s poems have appeared in the Oregon Poetry Association anthology, Verseweavers, in Indolent Books’ anthology, Poems in the Aftermath, on the online project, What Rough Beast, and in The Feminist Wire. She co-edits The Stay Project, contributes to the blog, The (Eternal) Beginner's Guide to Bend, is a freelance copywriter, essayist, and a novelist in search of publisher. Ms. Cooper earned an MFA in Poetry from OSU-Cascades, and co-facilitates Blank Pages Workshops in Bend, OR, with her handsome and talented husband. I love connecting with local writers through my workshops at the library! 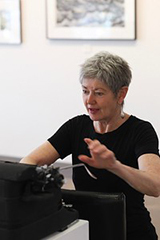 In my workshop, Speak, Memory: Beginning Your Memoir, I begin with warm-up exercises that help participants access important memories, and then guide them in writing and editing their own short memoir. Craft workshops include in-depth work with metaphor, language, and sentences. Sarah Sennott Cyr teaches writing practice, the cultivation of a regular writing habit in response to prompts. Once your writing routine is established, it can be directed towards any writing project: a blog, personal essay, memoir, even oral storytelling. Sarah's work has appeared in Newsweek Magazine, ARTNews, The Boston Globe, and Cosmopolitan. Her teaching style is heavily influenced by Natalie Goldberg (Writing Down the Bones), who she has studied with in Santa Fe. Linden Gross, formerly special features editor for the Los Angeles Times Magazine and associate editor for the Ladies’ Home Journal, has ghostwritten two New York Times bestsellers in addition to co-writing or writing a handful of other books and authoring To Have Or To Harm (Warner Books, 1994), the first book ever written about the stalking of ordinary people. Drawing on her editing and writing background, as well as her love and experience with teaching, Linden also works as a writing coach to help other authors write their books. She helps them organize their time, their thoughts and their material, and teaches them how to improve their writing. Finally, she edits chapter by chapter. No wonder she calls her company the One Stop Writing Shop. Linden recently launched Incubation Press to help authors self-publish their books. Authors can hire Linden and her team for just one of their self-publishing steps or all seven. Either way, the goal is the same: simplifying the often-confusing self-publishing process and empowering their authors along the way. 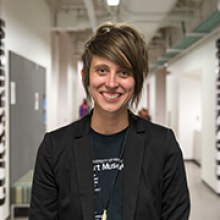 Hailing from the northernmost region of Illinois, Jenna is now a professor at OSU-Cascades. At both the University of Kentucky, and at Illinois State University where she completed her MA in 2010, Jenna taught first-year writing, creative writing, and literature. At the University of Kentucky she was awarded the College of Arts and Sciences Certificate for Outstanding Teaching Assistant Award in 2014, and in 2015, she received the inaugural Kentucky Writers Fellowship for Innovative Poetry from Louisville's Baltic Writers Residency. She is the recipient of numerous awards and fellowships from the Acorn Equality Fund for LGBT researchers, the University of Kentucky Women's Club, and the Lexington Herald-Leader. Amber J. Keyser is a former ballerina and evolutionary biologist who writes both fiction and nonfiction for tweens and teens. Her young adult novels include Pointe, Claw, an explosive story about two girls claiming the territory of their own bodies, and The Way Back From Broken, a heart-wrenching novel of loss and survival (and a finalist for the Oregon Book Award). She is the co-author with Kiersi Burkhart of the middle grade series Quartz Creek Ranch. Her nonfiction titles include The V-Word, an anthology of personal essays by women about first-time sexual experiences (Rainbow List, Amelia Bloomer list, New York Public Library Best Book for Teens and Chicago Public Library Best Nonfiction for Teens) and Sneaker Century: A History of Athletic Shoes. Amber lives on the dry side of Oregon with her husband, two kids, four chickens, and a dog who looks like a Muppet. Born and raised in Memphis, TN, Maesie Speer is passionate about building inclusive and nurturing creative spaces. She is currently the Arts Center Programs Manager at the Caldera Arts Center outside Sisters where she lives and works. A life-long performance-maker, Maesie was a company member with Hand2Mouth Theatre for 10 years and participated in residencies at Playa, Caldera, and EMPAC and toured regionally and nationally. She has also performed with Theatre de la Jeune Lune, Sojourn Theatre, Actors Theatre of Louisville, and Artists Repertory Theatre, among others. Maesie volunteers as a board member with the Arts & Culture Alliance of Central Oregon and as a program committee member with ScaleHouse. Kimberly Bowker is a narrative journalist who loves to explore stories of the heart and how our lives intertwine. Growing up in Central Oregon, she served at The Bulletin newspaper, and appreciates how writing can strengthen our community. 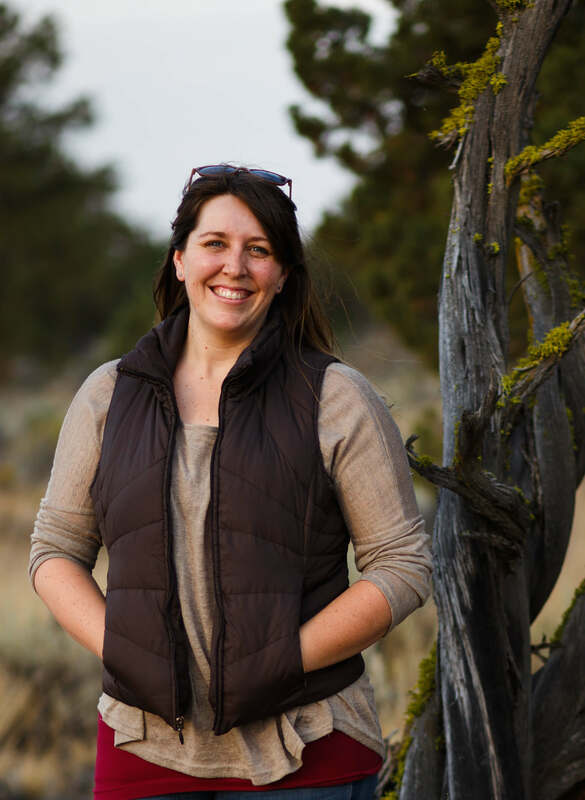 Her work has appeared in local publications and sources such as 1859 Magazine, CraftBeer.com, Fodor’s Travel, and Travel Oregon. Please say hi if you find her reading outside or out on the trail strolling beneath the sky – as this is where we all connect. Playwright and Producer Cricket Daniel holds a Theatre Degree from UC Santa Barbara and studied Shakespeare in Cambridge, England. Cricket has an extensive background in stand-up and improv and has had her plays produced across the country. Full Length Plays by Cricket include Couple Dating, Love, Laughter and Lucci, Gina Galdi and Guest, Helen on Wheels, The Night Before the Night Before Christmas, I Shot Jennifer Lopez and The Lost Virginity Tour. Her 10 minute play, BREAK DREAMS, was adapted into a short film and made its world premiere in the 2014 Santa Barbara International Film Festival. Cricket also produces Bend’s annual 24/SEVEN Theater Project at 2nd Street Theater. 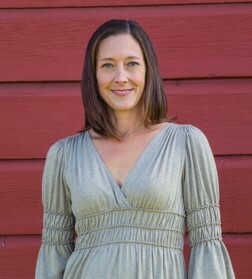 Cricket is a member of the Dramatist Guild and is a 2011 recipient of Bend’s Arts, Beautification and Culture Award. Cricket lives in Bend with her husband of 24 years, Jason and their 14 year old daughter, Spencer. To learn more about Cricket, please visit www.cricketdaniel.com. 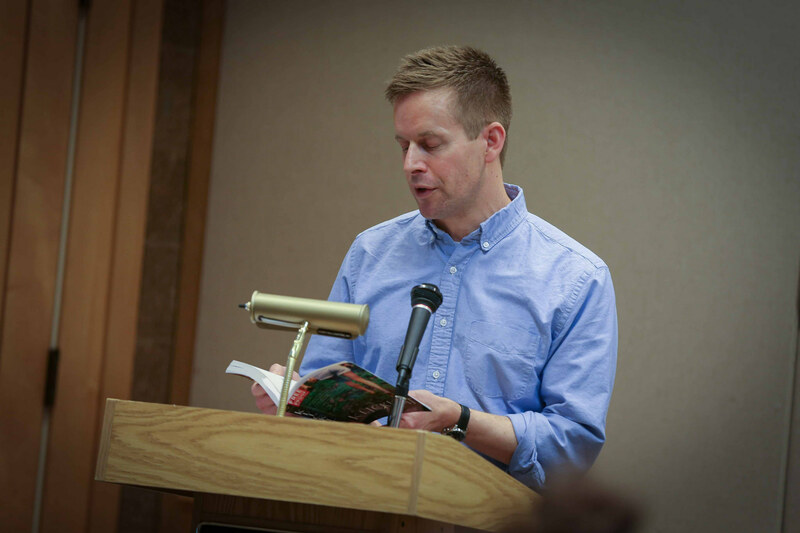 Christopher Boucher was born and raised in western Massachusetts, and he received his MFA in Creative Writing from Syracuse University in 2002. He currently teaches writing and literature at Boston College, where he also serves as Managing Editor for Post Road Magazine. Chris is the author of the novels How to Keep Your Volkswagen Alive (Melville House, 2011) and Golden Delicious (Melville House, 2016), the editor of Jonathan Lethem's More Alive and Less Lonely: On Books and Writers (Melville House, 2017), and the recently published Big Giant Floating Head (Melville House, 2019). 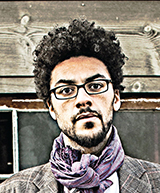 He is a faculty member for OSU-Cascades Creative Writing Low Residency MFA. He currently lives in Northampton, Mass. 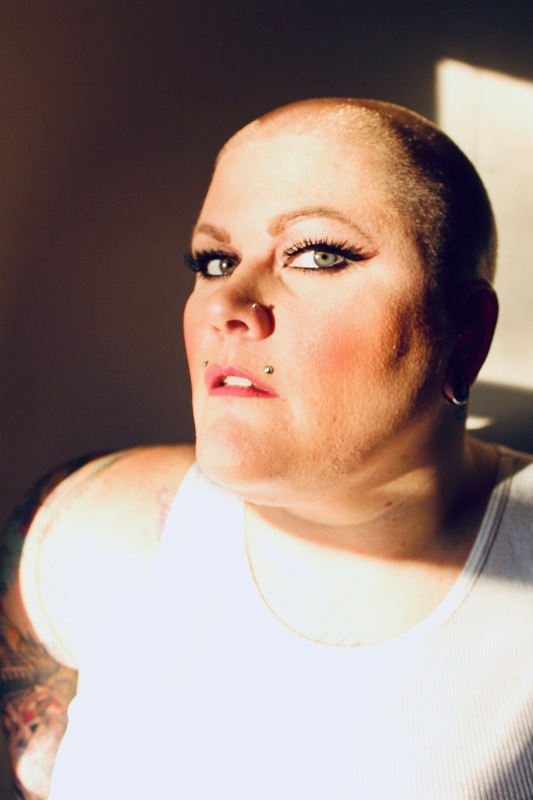 Roxy Jane Allen is a queer, award winning slam poet, stand-up comedian, make-up artist, body positive activist, hairstylist, educator, and plus size model. A seven-time Eugene Poetry Slam Champion, Roxy has toured throughout the Pacific Northwest, competed nationally at the Texas Grand Slam and Rustbelt Poetry Festival, and is currently one of the administrators for the Eugene Poetry Slam. She uses comedy and wit to disarm her listeners and her sincerity and vulnerability drive her truth deep. Roxy is a reminder of how extraordinary, fragile, and magical a thing it is to be human. Jorah LaFleur is a writer/performer who enjoys wearing many different hats. She finds herself on stage as a spoken word poet, actor, and event emcee. She also loves working with youth as a spoken word educator and teaching artist. 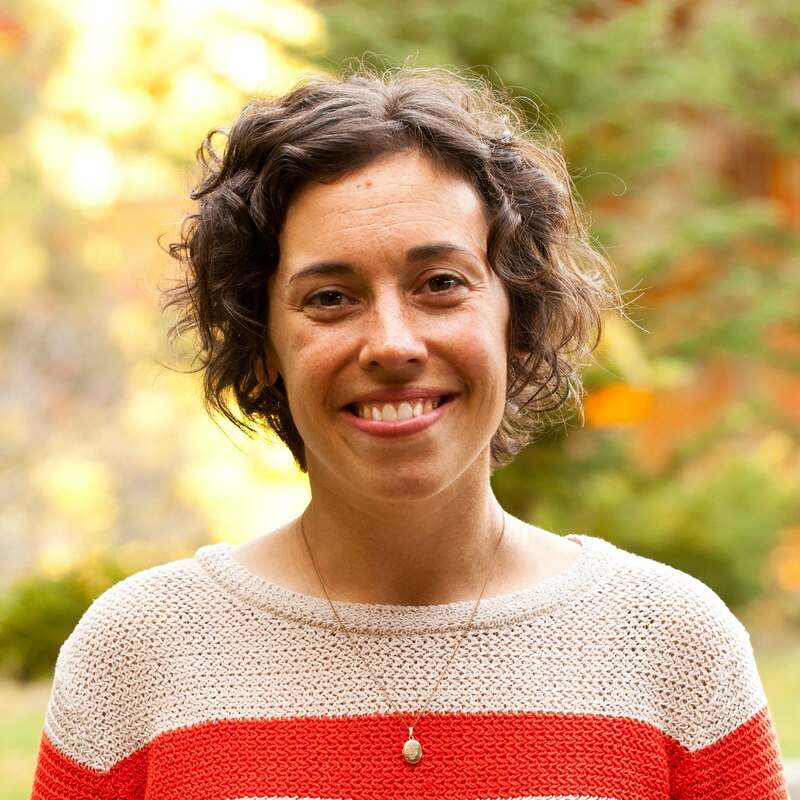 She is currently serving as the Writers in the Schools Director for the nonprofit organization Wordcrafters In Eugene. Jorah has spent the last 20 years exploring the joys and terrors of showing up on stage. Running and hosting a monthly poetry slam in Eugene, (Eugene Poetry Slam) for over a decade has left her comfortably harboring the belief that live performance is, literally, magical. She is committed to helping others experience the transformative power of being heard, and to promoting the arts as tools of social change and community building. Jorah loves words, courage, and really dark chocolate. Her favorite color is zebra.